Preparing candidates for job interviews and conducting our own screening is something we do every day at Experience Factor. One common question people have going into a job interview is how long their answers should be. There are variables like where you are in the interview process and the type of position you’re interviewing for. But the best general advice is to keep your answers succinct and relevant. Here are some more tips that should help. Some hiring managers and career coaches say limit your answers in an interview to 90 seconds. Don Georgevitch, of the Job Interview Tools website, recommends 20 to 30 seconds. Interviewers often ask open ended questions like “Tell us about yourself.” This typical question can be a trap or a springboard. When answering, stay focused. Try and make two or three points that help illustrate why you’re a great candidate for the job. It helps to be concrete. Use a story or specific example that illustrates your point without digressing into unnecessary details or background. Here are some tips on answering questions about yourself. It’s also important to be aware of your non-verbal communication. Michael Neece, a contributor to Monster.com, says that if you talk too much you can talk yourself right out of a job. He likes the 90 second rule. He also says it’s alright to ask questions during the interview. For instance, you might be asked to give an example about how you worked with a team to achieve a goal. If you feel like your answer is getting too long or the interviewer is disengaging, you can ask, “Is this the level of detail you’re looking for?” Kent Kirch, Director of recruiting at Deloitte, says when the candidate asks questions, it shows they’ve prepared for the interviews. Make sure, however, that your questions show your genuine interest in the company’s culture, business or the nature of the position. Avoid a blunt question about vacations or salary. When you’re interviewing for an executive level or top management position, the advice is a little different. George Brandt is a Forbes Magazine contributor and author of The New Leader’s 100 Day Action Plan. He says interviewing at this level it boils down to a variation of : George Brandt says for executive hires, the interview is about solution selling. 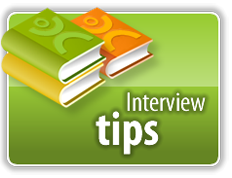 By preparing for your interview, you’ll be able to answer questions more succinctly. Think of great examples of how your previous work or other experiences would make you good for the current job. Think of stories that help highlight who you are, or an accomplishment, in an engaging way. It goes without saying that you should know as much as possible about the position and the company and the industry before you interview. On the other hand, don’t be thrown if you get a question that you haven’t anticipated. Alison Doyle has some great recommendations for Practice Interviews. Also, the Undercover Recruiter shares this list: The Only Five Questions You Need to Prepare For. When you’re nervous, it’s natural to be thinking about your answers instead of listening. Make sure you keep eye contact with the interviewer, hear and understand the question. By listening well, you’ll also pick up on the key skills and strengths that are important to the interviewer. While the job description likely included a long list of requirements, the interview will help give you a sense of what’s really important. It’s alright to take a moment to gather your thoughts before answering. Click the link below to stay up to date with relevant employment and hiring tips and strategies.